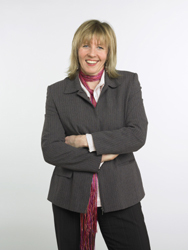 Anne Rendall of Anne Rendall Media has spent her life writing in and around Dundee. She was intimately involved with ‘Jackie’ and the City of Discovery. In this podcast, Anne passes on some history, some insights and advice. It is also important to note that DC Thompson are not involved in any part of the production of Creative Dundee podcasts and Anne’s opinions reflect her experience. Here at Creative Dundee, we just hit the big red record button and let people talk. Download your own Anne Rendall podcast here.